Boulder Electronic Co., Ltd---a manufacturer which engages in designing and producing of electronic transformer and inductor as well as technology support. It is a manufacturer that focuses on products, relevant service as well, in recent 20 years, always having been dedicated itself to design and produce magnetic components with inductance. It is a professional team, making up of hundreds of professional workers in design and development, artisan and technology, management operation. They cooperate and coordinate orderly. It is a manufacturer making components with a lot of lines, appliance, telecommunications, computer, industrial equipment, medical devices, new energy, automobile electronic and charging station. The technology above those lines converges on the Boulder. It is an experienced enterprise to go through in fierce completion. It is an enterprise to know how to rich itself and exploit bravely, to strive for excellence. Boulder won laurels of “high-tech enterprise in Shenzhen” and it boasts over 20 items patents with independently research and development. Also, Boulder is qualified for its ISO9001/ISO14000/TS16949 certificates. Product development department was established in South Korea to meet customers from Korea satisfaction. Subsidiaries in leiyang city and Vietnam are functioned as our production bases respectively. Constantly pursuing innovation and development of technology, full-fledged technology support provided to satisfy customers are our pursuing goals and core competition for ever. Consisting of almost 40 people, our professional R&D team is able to access what customers want quickly and promptly. Tightly R&D activities together with customer makes optimized suggestions and a set of solutions will be offered in due course. 24hrs sample first-aid service give us the chance to materialize the needs into practical goods. Relying on the R&D platform of headquarter, Boulder has been established overseas marketing department to mirror market demands, that is, exploiting in the right position, meantime supplying new products quickly as a mission, to meet the needs of marketing globalization. Resting upon numerous suppliers sources, latest material application and credible database are available to meet their demanding satisfaction with high-quality and low-cost. Stick to incessant innovation and accumulation of technology, Boulder has obtained over 20 items patents early or late, and it is given a title of” High-tech enterprise in Shenzhen” in a row of years. Sharply analysis on new material and new technique makes it possible that developed products are from intelligent terminal inductance of less than 3mm to new-energy power supply components of more than 150mm, applied in fields like consumer electronics, industrial power, automobile electronic, medical devices and so on. Fierce marketing competition day by day and the penetration of industrial transition gradually ask production for flexibility, high-quality and short-term period. We always have so far been optimized making process and review automated production. On the one hand, we are pushing forward producing department to be in the forefront of marketing competition, making innovation from organizational form, production preparation, layout of assembly line, integration of workers and creating our advantages in quick material distribution and production line change as well as short period of production. On the other hand, investment in the aspect of automated equipment and engineering technology will be increased year by year, automated equipment instead of human power, for improving production capacity and efficiency in a quick way to balance the influence brought by increasing cost of labor. Not only have we established large-scale production base occupying 27,000 square meters in Hunan Province, China, also there is a base of covering almost 5000 square meters in Vietnam in order to meet foreign customers’ demands, which make it true approximately 3000 people’s capacity reserve. Being able to coordinate powerfully with assorted customers at home and abroad and forming a kind of compatible production pattern between scattered and mass order, they are efficient to solve demand paradox in the aspects of different customers, specimen, quantity and delivery date. Coordinated and consolidated production with effectiveness and flexibility make us advantageous to comprehensive needs of customers’ satisfaction. Apart from the introduction of major equipment, scientifically integration has been done for people, machine, material, existing product system and assemblage as well as automated testing devices had been refined to improve the efficiency of people and machine. Design and estimation to technology and equipment in early developing stage will be made to guarantee that high-quality production is done successfully, which is a significant guarantee to those products with sophistication and demanding technique to maximum client’s customized demands. So as to support information communication inside and outside and push forward optimized procedure, Boulder from 2005 began to carry out K/3EPR managerial system, PLM products lifetime managerial system and long-distance video conference or so. Further changing independent system into integrated IT platform in the late days will be achieved to create a new managerial and executive system extremely suitable for Boulder itself and exerting its own strengths. IT managerial system-a flexible managerial framework that plays an important role in combining market expansion, product design, product-making, purchase and logistics can acclimatize itself to far further development and managerial operation. 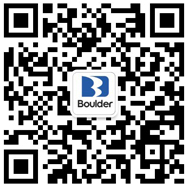 To supply goods with high-quality and low-cost and short time, Boulder has totally reached local purchase setup. Made up of hundreds of suppliers, multi-channel purchase setup drives down the risk plus competitive but cheerful raw material being provided. Multi-channel competitive purchase approach in developing stage makes a great contribution for overall cost control. We make sure that logistics can be delivered within 24hrs in Guangdong province, others provinces and Asia-pacific area within 3 days. Products are exported to South Korea, Japan, Europe, America, Africa etc many countries and areas, we have built our department on South Korea, Hong Kong. The market operation is executed under the principle of customer-oriented with more considerate and painstaking offered, to decipher the needs of customers in advance and deliver them to development and production department timely. Facing the fast-changing market, we always are seeking the best ways to serve for our customers and to make them pleased. In the term of quality management, Boulder pitched into ISO9001 managerial system, being constructed from development, R&D, production to all stuffs in factory. And in 2006, we were certified by ISO/TS16949, for adapting to customers’ needs of electronic automobile and boost our enterprise’s quality management, after almost lasting one year’s retooling and restructuring. Since then, we make sure that every product we produced wholly meets ROHS.